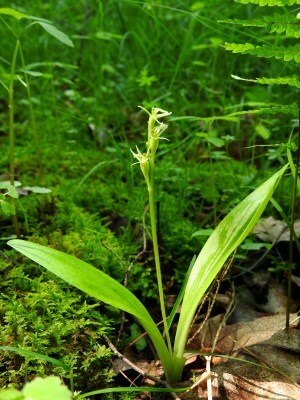 An inconspicuous orchid, usually distinctly yellow-green throughout and generally ± hidden in grasses and sedges of fens (open mat to older tamarack and cedar swamps), marshy shores, beach pools and interdunal swales, marly flats, roadside excavations, ditches, springs and stream beds. Self pollinating and thus almost always setting a full complement of seed capsules, unlike Liparis liliifolia. MICHIGAN FLORA ONLINE. A. A. Reznicek, E. G. Voss, & B. S. Walters. February 2011. University of Michigan. Web. 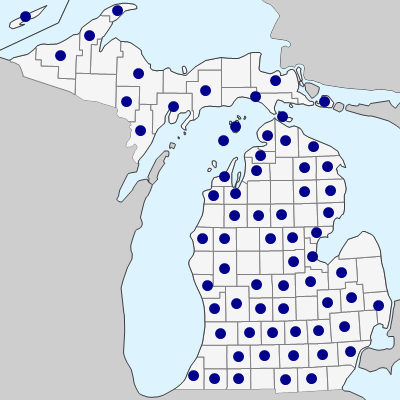 April 18, 2019. https://michiganflora.net/species.aspx?id=1817.